Race timing - it's what we do and what we have done for many years! If you're thinking about chip timing, please contact us to discuss availability and suitability for your event. We use the tried and tested Ipico Sports system, as seen at London Marathon and Great North Run, and can now supply this system with disposable chips as an option (as used at Lake Vyrnwy Half, Macclesfield Half and Darlington 10k amongst others over the last 6 years). Contact us now for special deals for midweek and Saturday races. Already got a quote? Contact us to see if we can beat it!! Special deals - if you organise several races a year, please ask for our bundle price, available to all organisers who book more than 3 events a year using the same technology e.g. shoe chips or manual timing. We will try to give you a discounted price across your series, to even out any inconsistencies in race sizes and therefore, perhaps, helping to make your smallest event more cost-effective. 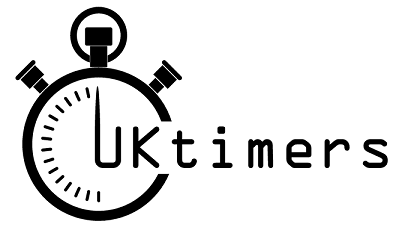 UKtimers is a reliable, family-run, timing business, covering events of all sizes from village fun runs needing manual timing and results to large-scale city runs requiring chip timing. We aim to try to make our services affordable for all types of event, large or small, so please contact us to discuss your requirements as we may surprise you or be able to offer you a special price! We can handle most requirements and are able to deal with difficult situations which occasionally arise, as we have lots of experience in timing. We can also handle event supplies (numbers, pins, clocks etc.) and do all your back-office admin such as handling entries and race packs if required. Contact: www.UKtimers.net - info@uktimers.net - Phone 01254 723029 or 07502 478070.